In our instantaneous society of fast food, microwave meals, instant internet, and Amazon Prime, it is easy to miss the importance of endurance. Yet endurance is a virtue that is attributed to God Himself. We see that in the verses above, as well as others like, Acts 13:17-18 where He endured the rebelliousness of the children of Israel. He is said to give us endurance in Romans 15:5. He commended the church of Ephesus for their endurance in Revelation 2:2-3. Endurance is defined as, “the fact or power of enduring or bearing pain, hardships, etc. The ability or strength to continue or last, especially despite fatigue,stress, or other adverse conditions; stamina; lasting quality; duration.” According to the passage in Hebrews, endurance is required to finish our race. In order to learn endurance, we are told to fix our eyes on Jesus, the perfect model of perseverance. Not only are we to look to Jesus, who is both the Author, or Pioneer of our faith, but we are to consider those who have gone before us – the great cloud of witnesses. They are called witnesses because they have seen the truth of God’s promises to complete the good work He began in them. Jesus is the Author and Finisher, or Perfecter of our faith. In other words, our faith begins and ends in and with Him. He alone is able to help us endure to the end, and He will, if we are willing. Jesus endured by focusing on the “joy set before Him.” What was that joy? I believe it was the joy of knowing He would have a bride without spot, wrinkle or blemish, one who loved Him enough to endure whatever came against her. One who wouldn’t give up or quit when the going got tough because His love for her would sustain her. The joy of His future wedding day, I believe, is what enabled Him to endure the pain and shame of the cross. And when He returned to His Father, He sat down at His right hand – the place of authority, favor, and power. He finished His race – the work His Father gave Him to do from before creation – and He finished it well. We are called to do the same. We are to consider Him, what He went through and endured, so we do not grow weary and lose heart. The more we behold Him, the more we become like Him. Meditating on these truths will enable us, by His grace, to finish our race and to finish it well. We cannot lose if we do not quit. He will be faithful to complete what He began in us if we will trust Him. Many years ago, at the end of each year, I began to ask the Lord to give me a verse for the new year, a sort of “life” verse that would be the theme of what He was doing in my life that year. I remember one particular year He gave me John 15:5, “If a man remains in Me and I in him, he will bear much fruit. Apart from Me, you can do nothing.” The emphasis seemed to be on the second part – “apart from Me, you can do nothing.” This verse stayed with me for probably three years as God taught me in many ways what that simple, yet profound statement meant and looked like when lived out day after day. Several years later, I was praying and talking with the Lord one day about some significant health issues I had been having. I was having trouble understanding what He was doing in my life and why the problems seemed to go on for so long. In the middle of this conversation I clearly heard Him speak to my heart, “I’ve been trying to teach you to embrace weakness.” Period. I felt like I had been hit in the head with a brick. Suddenly I realized how much I despised weakness, and it greatly disturbed me in light of what He had said. I could think of nothing to say in response. Immediately after that, the passage Paul wrote came to mind, “Three times I pleaded with the Lord to take it away from me. But He said to me, “My grace is sufficient for you, for My power is made perfect in weakness.” Therefore I will boast all the more gladly about my weaknesses, so that Christ’s power may rest on me. That is why, for Christ’s sake, I delight in weaknesses, in insults, in hardships, in persecutions, in difficulties. For when I am weak, then I am strong.” (2 Cor. 12:8-10) Paul, through trials and troubles too numerous to list, had learned what it meant to embrace weakness. Not only had he learned to embrace weakness, he said he actually delighted in it! The phrase, “made perfect” actually means, “to perform; to complete; to accomplish or fulfill.” The word “sufficient” means, “to be possessed of unfailing strength; to suffice; to be enough; to be satisfied; to be content.” The word “weakness” speaks of the “want of strength, weakness, of the body – it’s native weakness and frailty; feebleness of health or sickness; and of the soul – it’s want of strength to understand a thing; to do things great and glorious; to restrain corrupt desires; to bear trials and troubles.” In other words I believe God is saying that we lack the strength both physically and mentally to perform, complete, accomplish or fulfill God’s plans and purposes. We desire to do great and glorious things, we desire to understand God’s ways, but we are incapable in and of ourselves. Apart from Him, we can do nothing. God’s grace – His enabling power and strength – empowers us to do that which we lack the power to do, but we must first learn to acknowledge, embrace, and even delight in our inability to do anything! Then, and only then, will His power rest upon us, because we will give Him all the glory knowing it was only by His strength that anything good was accomplished. I wish I could say I was where Paul was, but I can’t. 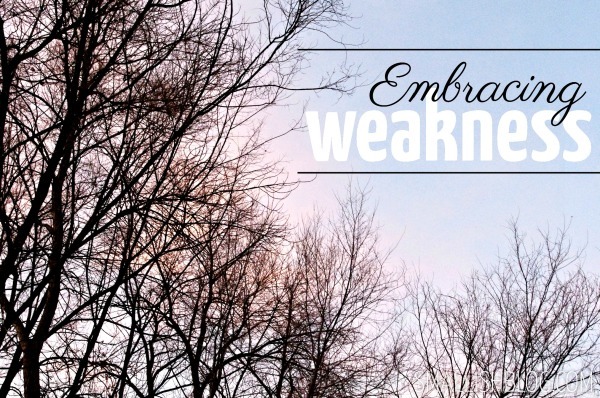 I am still learning to embrace my weakness, longing for the day I can actually delight in it. I am grateful for His patience in the process, and I know that He is able to complete what He has begun in me! No matter how old I get, I will always love the story of Cinderella. I recently went to see Disney’s newest version of the beloved classic and was reminded again why I love it so much. 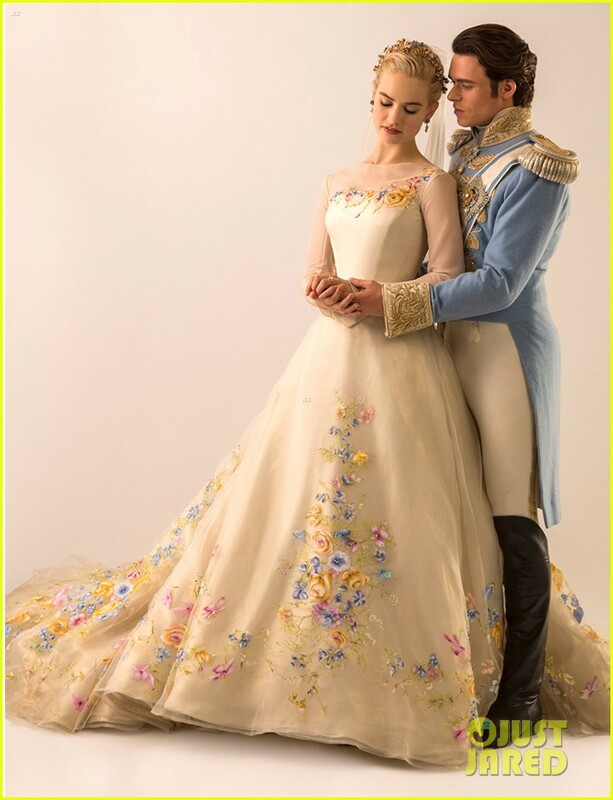 I love it because Cinderella is my story…and it is yours. It is our story. The story of a beautiful maiden who had a wonderful, loving family as a child. She wanted for nothing. She was cherished and adored, and life was good. And then tragedy struck. The loss of her mother eventually led to the remarriage of her father to another woman. In time she also loses her beloved father, and becomes a slave in her own house. Jealously despised by her step-mother and two step-sisters, she is forced to wait on them hand and foot. She endures much cruelty from their words and actions. As she grows into young womanhood, the opportunity comes for every maiden to attend a ball so that the prince might choose a bride. She actually meets him by chance one day, though his identity is kept a secret. It was love at first sight for them both. Despite the objections and attempts of her step-mother and sisters to keep her from attending the ball, she does show up, through the grace of her fairy god-mother. She meets the prince again and he is captivated by her beauty. Before the magic ends and she is discovered to be a peasant girl, she disappears suddenly, leaving one glass slipper behind. After searching throughout the kingdom for the maiden who lost the shoe, the prince discovers her to be a servant, not the princess he had thought her to be. Nevertheless, his love remains the same for her and they get married and live happily ever after. We were once that beautiful maiden, (sorry guys, you’ll have to stretch that imagination!) deeply loved and cherished by our Heavenly Father. Then tragedy struck in the Garden and we became slaves in the place we once knew as paradise. Much suffering entered the world and we continually faced many troubles and trials. Yet there is a Prince, a King, who in spite of our poverty, shame, and brokenness, is captivated by our beauty. He has already planned in His heart His royal wedding, and intends to marry us and make us His beloved bride. Even now, He is searching throughout His kingdom for those who have lost their way. He intends to find all who will say “Yes” to Him and we will live with Him in His kingdom forever and ever. The truth that makes our story even more powerful than Cinderella, is that we chose to walk away from Him. We chose to reject the One who loves us the greatest. We chose the sin that has marred us and the earth we live in. Yet His love remains unrelenting, and He will not be denied. His desire is for us and He has done all that was necessary to make a way back to Him, including laying down His life. His grace makes it possible for us to become the princess He intended us to be. Our story is a real life fairy tale.